Canada’s burgeoning recreational marijuana industry is steadily acquiring more and more industrial properties nationwide to serve as growing and retailing facilities, in light of the federal government’s move to expand the scope of legal products to include edibles and concentrates. With this industrial expansion comes a desire to increase employment numbers, a project that Canopy Growth Corp. (among others) is actively pursuing. Canopy, the country’s largest licensed producer in terms of market value, is aiming to fill 1,200 high-skill posts, with designations as varied as “destruction lead hand” and “soft gel encapsulation manager”. Moreover, the company is looking at hiring mostly from Canada. “It’s kind of like a burden for the globe but it’s being borne in Canada because it has the most medical patients and it’s the best place to hire the people to do the research,” CEO Bruce Linton told Bloomberg. 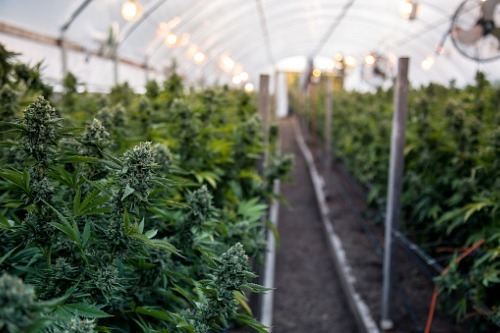 The trend towards more employees in more facilities will certainly remain strong for the foreseeable future, according to Cannabis At Work founder and CEO Alison McMahon. “We’re going to see a lot of R&D positions and a lot of science-based positions around extraction and formulations,” McMahon said, adding that the industry will see the addition of up to 125,000 jobs in the first year of legalization alone. Per BMO Capital Markets estimates, 3,500 people were working in the sector upon marijuana’s legalization in mid-October.